Food trucks? Been there, ate that. The new mobile trend at weddings is a little more, well, spirited. 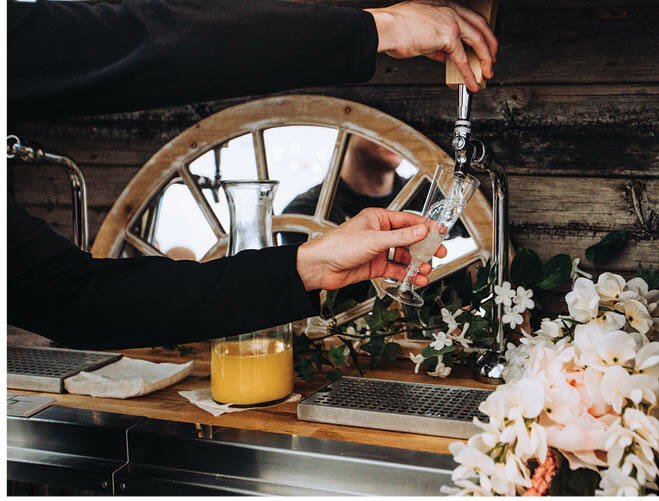 Wine and cocktail trucks bring the bar to your event in a unique way, and Minnesota has two new ones rolling through the state. 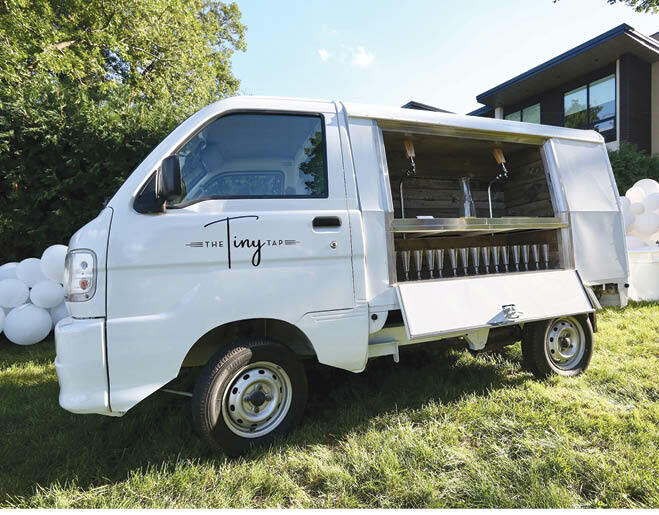 Trevor Pearson and Colin Mihm got the idea for their prosecco truck, called The Tiny Tap, while traveling through Europe. The Tiny Tap pours the sparkly wine from a wood-paneled white truck staffed by a licensed bartender. Couples can even gussy up the vivacious little vehicle with floral arrangements and make their drinks extra-personal with special glass flutes and custom monogram vinyl decals. Since launching last September, the response to has been so great that the guys are working on building out trucks No. 2 and 3 for the upcoming wedding season. “People love the concept, the aesthetics, the clean look and the small size. ‘It’s so cute!’ is usually the response we get, and it doesn’t get old hearing it,” Pearson says. 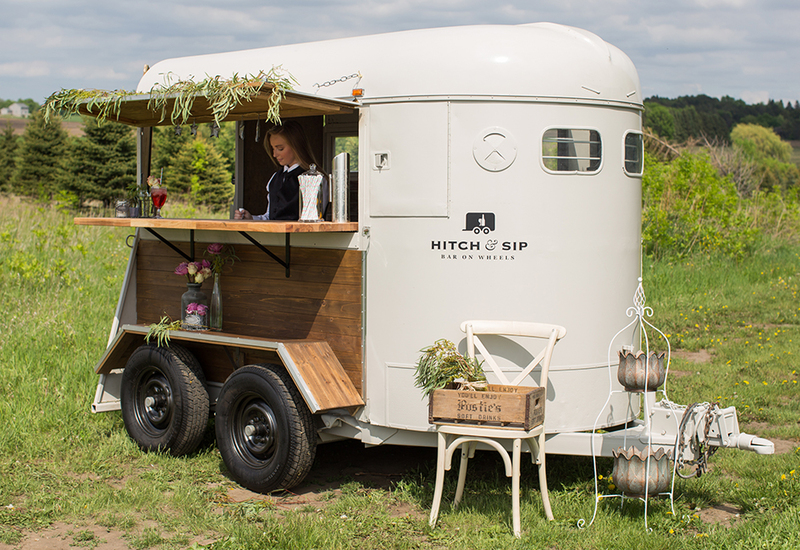 Hitch & Sip introduced its mobile bar last spring. The locally renovated 1970s horse trailer is both super-adorable and super-loaded. The experienced bartenders can mix up pretty much anything you dream of, and prices, which start at $500 for the rental, are comparable to a more traditional bar. It’s been so well-received, in fact, that they’ve purchased a second trailer and plan to create a full-on cocktail trailer fleet to take over the world. Or at least rule fun Minnesota weddings.